Guys you may be think that how to get that much RSS for upgeading building,research,bluilding traps,troop,extra.Today i am going to show you how to alot RSS in less time. 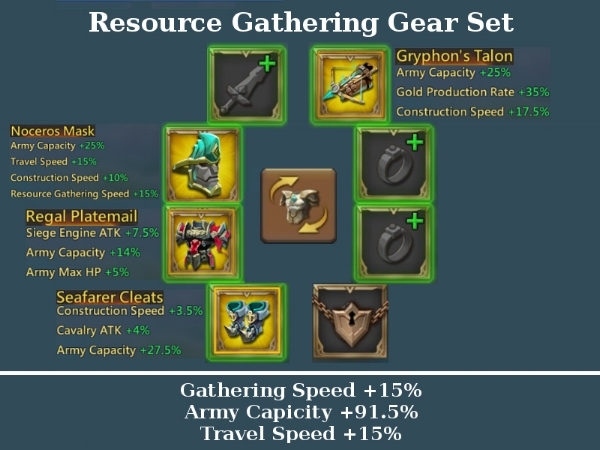 Noceros Mask,Regal platmail,Seafarer Cleats,and Gryphon's Talon are best for Resource gathering gear set. It increase 15% gathering speed,91.5% army capicity and 15% travel speed. Farming of 1 RRS is called hyper farming. By hyper farming we can get alot of RSS in 1 hour but it also decreases production of other. Stone Hyper farming gear -Wyrm Seal and Gargantuan Belt is best for Stone Hyper farming. Timber Hyper farming gear – Wyrm Rod, Burning Scroll And Terror Blade is best for Timber Hyper farming. Ore Hyper farming gear – Terror Vial is best equipment for Ore Hyper farming. Army Consume Food,bigger army consume high production and they dont consume any food if negative upkeep. We have alot bags of food. And upgrade right hero for your suitable farming like Death Knight increase stone production, Oaths Keeper increase Food production,Tracker increase ore production,Incidator increase Timber production,extra. 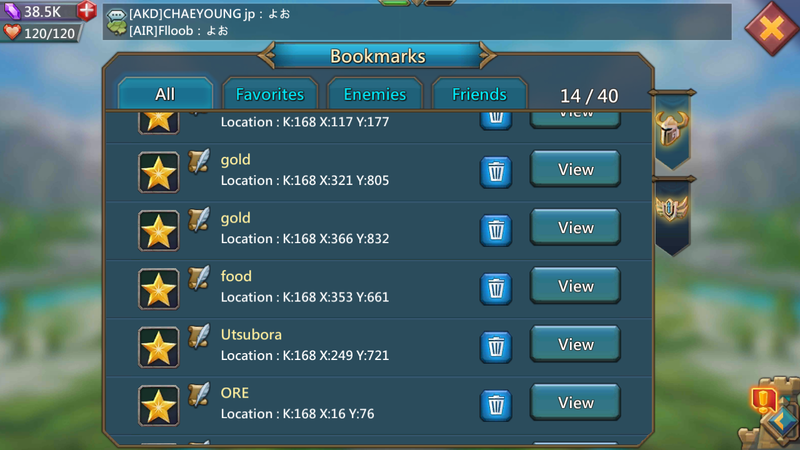 Which types of hyper farming you doing buy their boosts.And if you do gathering alot then always buy gather boost. Do not forget to research your Hyper farming RSS production and spend skill points to it. Mostly players know it, by it we can send army quickly but it is disadvantage if you do not know about it. If you are a farmer then make t1 as much as you can because t1 speed is faster than other tiers and they help alot in gathering gem lodes and they heal in 1 seconds and they are very cheap as well as healing is also cheap. Previous Previous post: Lords Mobile – About Hero Stage?